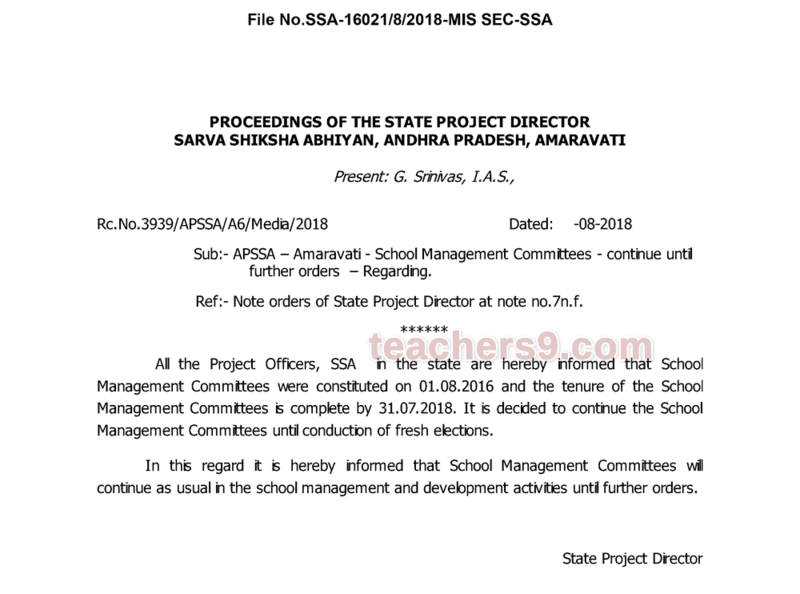 Rc.No.3939/APSSA/A6/Media/2018, APSSA – Amaravati - School Management Committees - continue until further orders – Regarding. All the Project Officers, SSA in the state are hereby informed that School Management Committees were constituted on 01.08.2016 and the tenure of the School Management Committees is complete by 31.07.2018. It is decided to continue the School Management Committees until conduction of fresh elections. In this regard, it is hereby informed that School Management Committees will continue as usual in the school management and development activities until further orders.